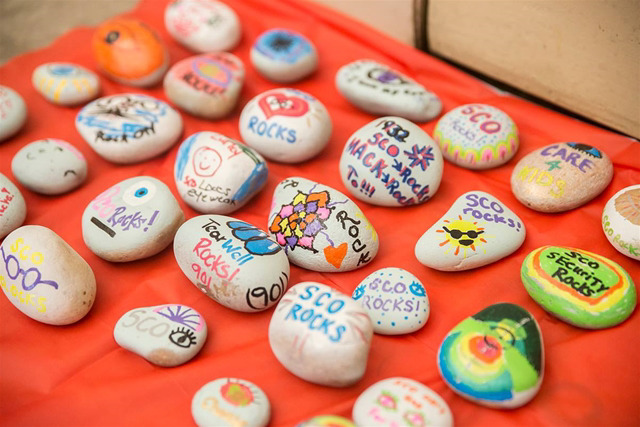 Congratulations, you’ve discovered a rock painted by a member of the SCO family! Thank you for taking the time to investigate further. This year’s SCOrocks! Project supports the “I Care For Kids!” initiative, which funds children’s vision care. Children receive care at SCO regardless of their guardians’ ability to pay. Do you want to make a difference in a child’s life? Read more to find out how you can help! This is Autumn, a 7-year-old patient with cerebral palsy and autism whose diagnoses impact her vision. Before receiving care at SCO, she fell down a lot and struggled with her school work. 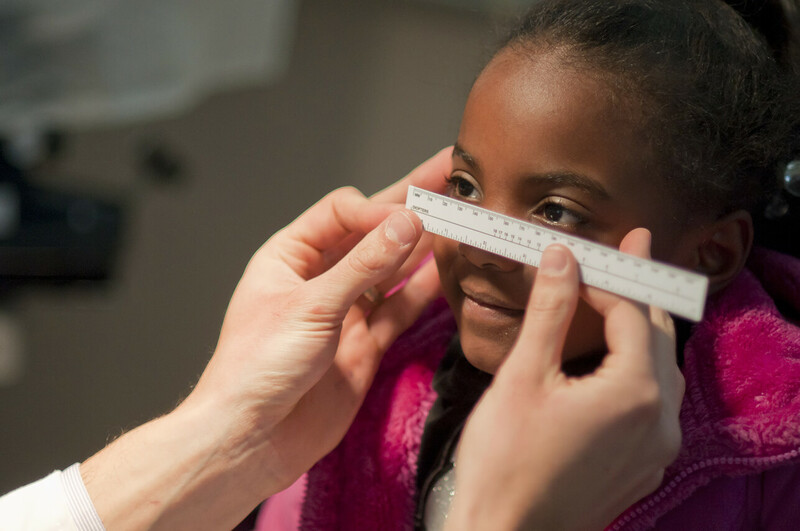 Through SCO’s “I Care for Kids” children’s vision program, she is receiving the vision therapy she needs to thrive. 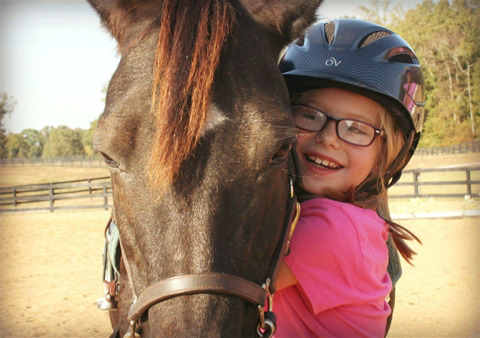 Without this program, her family couldn’t have afforded the care, and Autumn’s vision would have continued to decline. Autumn, and other kids like her, rely on SCO’s ability to provide free and reduced cost care, and SCO relies on your support to meet the needs of kids like Autumn. To help, click here. Children like Autumn need our help to make sure that they have a bright future! Did you know that 80% of all learning is done visually? To make a difference in a child’s life, click here. For more information, please go here. 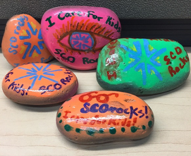 These rocks were painted in collaboration with the Alliance for Nonprofit Excellence’s Grit.Grind.Give campaign for Giving Tuesday! You can find out more here.